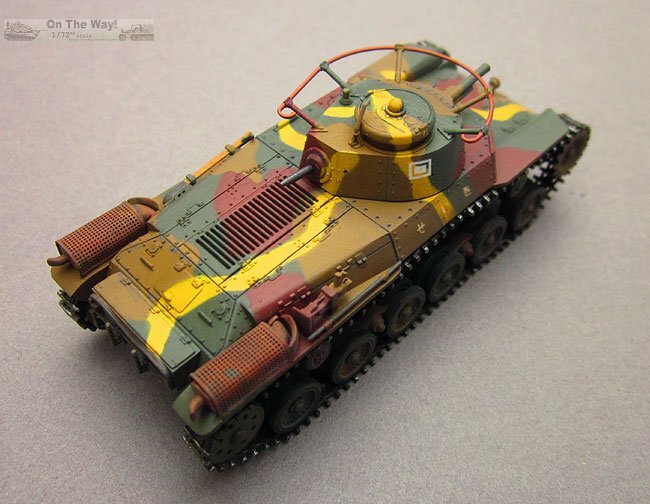 A preview of this kit by Stephen Brezinski, including sprue pictures, can be found here. 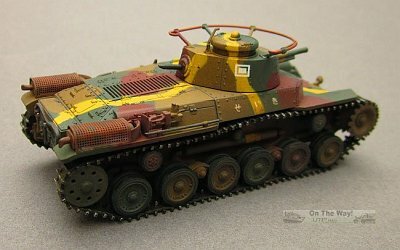 Well, I waited a long time but I finally got my wish for some Japanese WWII armour in the manly scale, mainly thanks to Dragon, though IBG Models has also recently come out with some very nice kits. 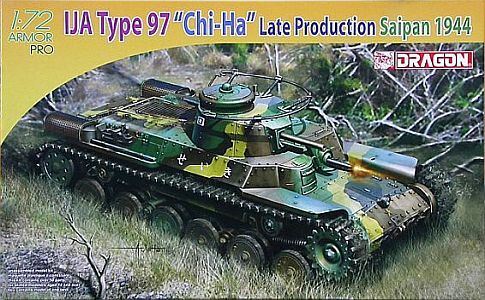 The Type 97 Chi Ha was always top of my list, ever since building Tamiya's now aged kit in 1/35 scale when I was a wee sprog (and one day I'll build it again, having found an example a couple of years ago on everyone's favourite auction site). 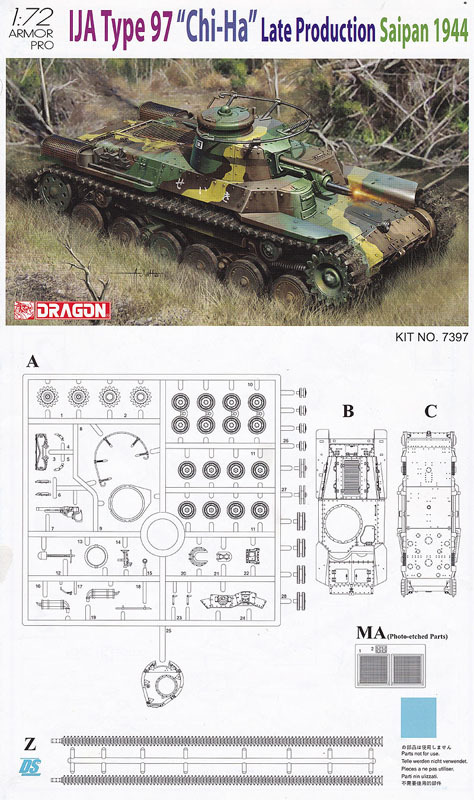 As much as I appreciate Dragon fulfilling my wish, I have to say this isn't one of their better kits. 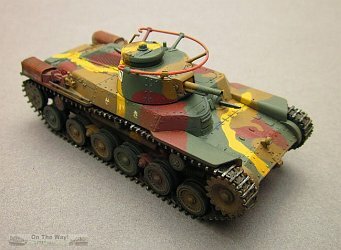 The fit of many parts left a lot to be desired, especially the curved plate in front of the driver's/gunner's positions. I used Mr. Surfacer 1000 to fill the gaps there, the advantage being that when freshly applied, the excess can be wiped off with IPA leaving a nicely filled seam without damaging the rivet detail. The other issue concerns the wheels. Dragon has utilised slide moulding to cast the return rollers and some of the double road wheels as single parts, a practice that annoys me no end as it makes cleaning up seams and painting more problematic than it should be. I can see no advantage to this gimmick, other than to save about 10 seconds per wheel gluing them together! 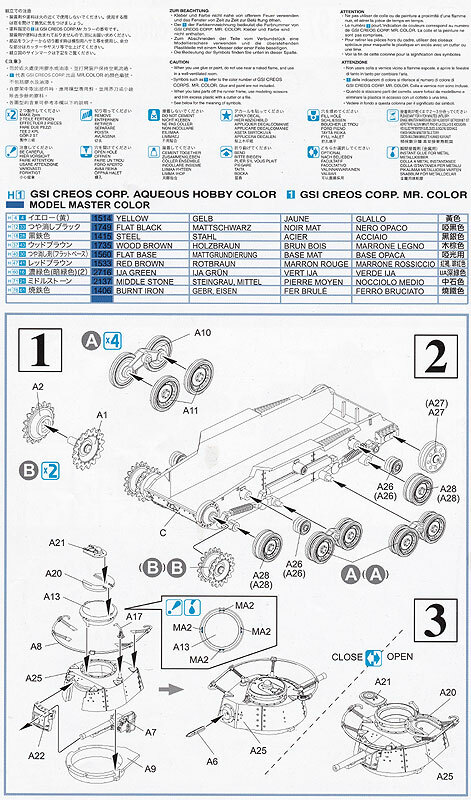 Frankly, I'd much rather the inner and outer wheels were separate parts. On top of that, the faces of the wheels were not aligned properly so that the wheels were off centre in relation to the rubber tyres. I managed to disguise this somewhat by judicious sanding but couldn't eliminate it completely without seriously reducing the tyre thickness all around. There were also other examples of misaligned moulds, namely the antenna array, machine guns and jack which required scraping and sanding to eliminate the prominent ridges. Dragon also used slide mould technology to hollow out the ends of the gun barrels, but again they were off centre so some corrective re-drilling was required. The perforated covers over the exhausts are photo etched parts which look much nicer than solid plastic pieces. These were easily curved to shape by rolling the appropriate sections over the shank of a drill bit. The tow cable is moulded in place which doesn't look all that good. 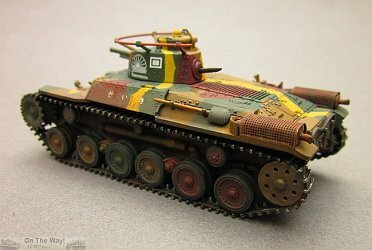 I considered trying to slice it off and replacing it with braided cable but this area is quite complex and the tow hooks would have been difficult to replicate so I left it as is. The tools however are separate parts and are nicely done. Dragon advise that the DS tracks may need their length adjusting due to the inherent elasticity of the material but mine fitted fine as supplied. Despite the fit and misalignment issues, assembly was fairly quick due to the low parts count and it was soon time for paint. The complex camouflage left me in a bit of a quandary however. 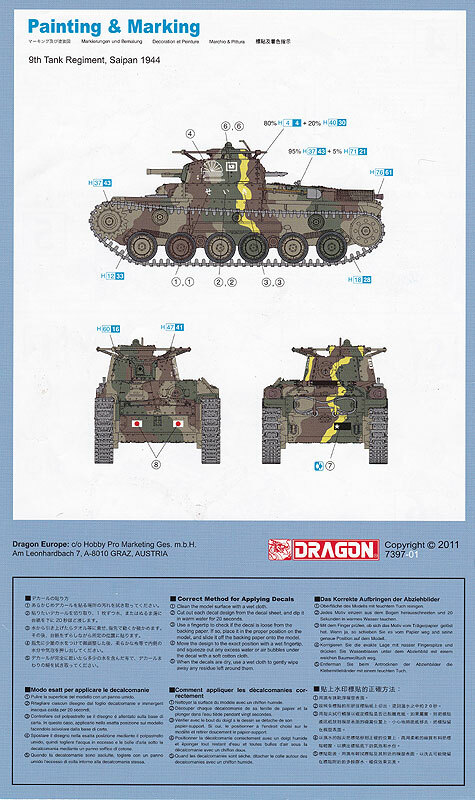 Dragon only supply a 3-view painting diagram; front, rear and left side. 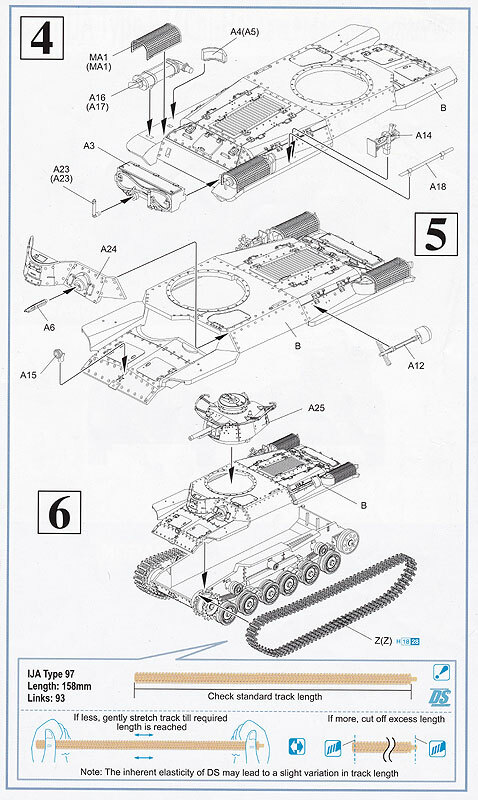 To compound the problem, the camouflage pattern on the box artwork is quite different to the 3-view. A top view would have been very useful, especially for the layout of the yellow stripes. I decided to disregard Dragon's drawings entirely and went with Tamiya's instruction sheet, supplemented by information in AFV Profile 49, "Japanese Medium Tanks". 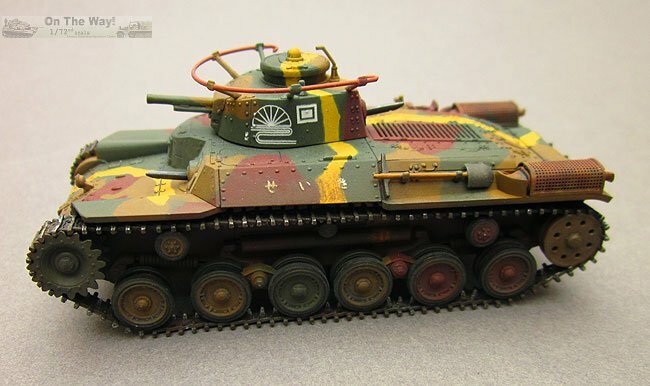 According to said profile, these tanks were delivered in overall Khaki and subsequently camouflaged in the field using Red Brown and Dark Green applied by brush. The distinctive yellow striping was added as a form of disruptive camouflage. 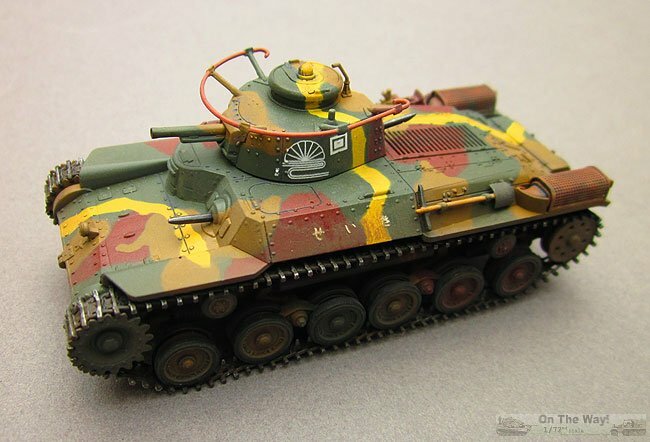 As there was no set camouflage pattern each tank would be fairly unique which gave more scope for using a certain amount of guesswork. Paints used were Humbrol 26 Khaki, Mr. Hobby Aqueous 47 Red Brown and 60 IJA Green. The yellow stripes were courtesy of an old bottle of Aeromaster ID Orange/Yellow (which completely dried up a couple of days after using it, thus forcing me to mix an approximation of it from Humbrol paints for later touch ups!). Exhausts are Model Master 1785 Rust, dry brushed with matte black and various orangey colours and finished off with pastels. The machine gun barrels are Humbrol Metalcote 27004 Gun Metal, which has long been my gun metal paint of choice. The camouflage was masked with Blu-Tack, pressing the edges down firmly to obtain a hard edged camo. A couple of coats of Mr. Hobby Clear Gloss ensured a shiny surface before decal application. Only one marking option is included, that of the 9th Tank Regiment in Saipan, 1944. 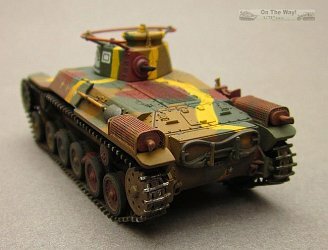 I've never had any problems with Dragon's decals and these were no exception, being thin and with good colour density and registration. A bit of Micro Set and Sol settled them down nicely into the surface detail. I didn't go as heavy on the weathering as perhaps I should have given the environment the Chi Ha operated in, however this was down to my reluctance to cover up what I consider to be one of the more interesting camouflage schemes. 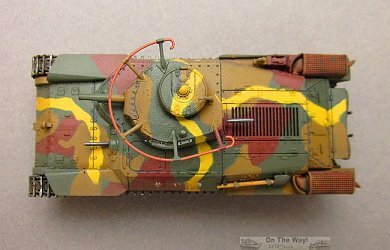 A thin wash of Dark Earth was sprayed over the running gear and lower hull and thinned rust was washed over the tracks, finishing these off with a dry brushing of silver. Various brown pastels were used here and there to muddy things up a bit. The antenna is Mr. Metal Color Copper. Final finish was Mr. Hobby Clear Flat. Fit and moulding issues aside, with only 53 plastic (including the DS Styrene tracks) and 6 photo etched parts this was a fairly quick and enjoyable build and I'm pleased to finally have a Chi Ha in my small scale armour collection. But then... after taking the pics of the built model, one of the tracks broke in two places as I was putting the model back in the display cabinet. It would seem the DS tracks became very brittle very quickly, whether this a characteristic of this material or just a bad batch, I don't know.